RedBus Bingo invites all British beginners to claim this awesome first deposit bonus. Register, deposit a minimum of £10 with the code COACH, and you can play with £30. This offer consists of a bingo bonus and a games bonus. 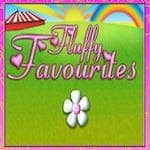 Besides that, you can also receive 40 extra spins that work exclusively on Fluffy Favourites. Have tons of fun with this amazing deal. You must wager your deposit and bonus amount 2 times for the bingo deal and the bonus amount 50 times for the games deal. Keep in mind that the bonus wins are capped at £100 and the ones from the bonus spins at £12. Benefit from this offer and unleash your passion!